Bitcoin creation has joined a list of activities facing a ban in China. A notice published online in Mandarin by the country’s economic planning agency added “virtual currency mining activities [including] the production process of Bitcoin” to a list of industries that could be shut down. The suggestion is that the power consumed by the industry contributes to pollution and wastes resources. The Chinese public has been invited to comment until 7 May. The National Development and Reform Commission has not said when the suggested ban might be introduced. 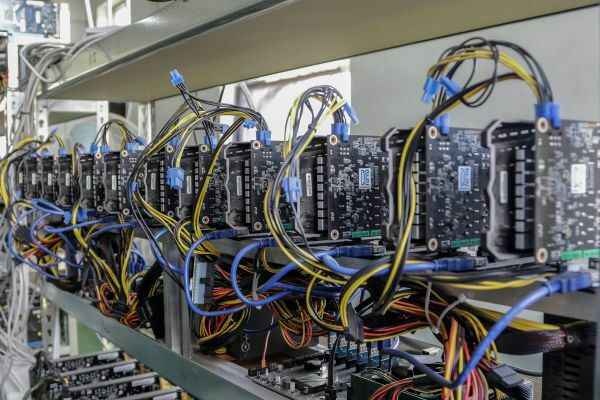 Bitcoin mining involves carrying out computer processor-intensive tasks to solve complicated mathematical problems in order to verify cryptocurrency transactions. As an incentive to take part, the owners of the equipment that is first to solve a puzzle are rewarded with a batch of newly created bitcoins. The complexity of the tasks is adjusted to ensure each block of transactions is processed on a regular basis – approximately once every 10 minutes on average. As a consequence, the more computers that compete, the harder the puzzles are made, which in turn means a greater amount of electricity is required to power them. Some of the world’s biggest cryptocurrency mining operations – known as farms – are based in China. Concerns about them have previously been raised in the country’s state-controlled media. The Xinhua news agency reported in October about a study that suggested related carbon dioxide emissions could feed into global warming, and increase temperatures by two degrees Celsius as soon as 2033. The news service has also reported on hundreds of mining computers being seized by the authorities following claims they were responsible for abnormal electricity consumption, threatening the smooth running of local power grids. Last year, one of the country’s regulators – the Leading Group of Internet Financial Risks Remediation – called on local governments to direct mining companies to make an “orderly exit” from the market. Chinese regulators have also taken other action against the industry, closing Bitcoin exchanges and banning initial coin offerings (ICOs) as part of a digital currency crackdown in 2017. The National Development and Reform Commission’s intervention appears to have had little effect on the value of Bitcoin.